Whether you’ve had years of experience or are just starting out in the nursing field, it’s important to know how to market yourself. When you’re ready to take the next step in your career, keep in mind that your experience doesn’t always speak for itself. You are responsible for presenting your skills and expertise in the right way so that hiring managers can feel confident when they bring you in for an interview and—ideally—when they offer you the job you want. 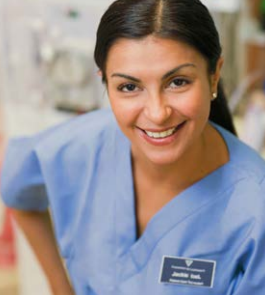 At FMCNA, we’re excited about finding passionate RNs who can provide outstanding personalized care to their patients. If you feel you fit this description, explore some of our favorite job tips for nurses. In the competitive market for medical professionals, you’ll want to stand out from the crowd. When describing your nursing experience, write about the type of facility (such as acute care, outpatient, rehabilitation), your caseload and area of specialization. Entry-level nurses with limited work experience should provide details of their unpaid work/clinical rotations/practicums. If a hiring manager has requested an in-person interview with you, it means you’ve accomplished something great: you’ve gotten yourself noticed. But your work isn’t done yet. You can answer the basic questions about your skills and experience, simply because you have those skills and that experience. But any interviewer will inevitably ask why, of all the candidates they’ve interviewed, you are the best fit for that role. Don’t let that question catch you off guard. This is the last time to truly sell yourself to the interviewer. Emphasize your positive attributes, reaffirm that you are a team player, and tell them why you are the best candidate for the position that they need to fill. - from TheCommuter on allnurses.com. While technically you’re the one being interviewed, you shouldn’t be the only one answering questions. Use a portion of your interview asking questions about the culture, environment and team you’ll be working with. This information will be crucial when deciding whether the facility is a good fit for you. The key here is not to get flustered. Even though you’re “selling” yourself, no one expects you to be a salesman: you’re a nurse. Take your time when you answer interview questions. Make sure that, one way or another, your interviewer hears everything you want them to hear to convince them that you’re right for the role. 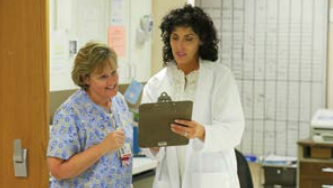 If you’re ready to take the next step in your nursing career with FMCNA, explore our open positions.